Castor and Pollux are bright stars belonging to the constellation Gemini and are part of the dozen bright stars that light up the winter sky. They represent the heads of the twin which were actually half brothers as stated in mythology. Located 34 light years away, Pollux is a magnitude 1.14 orange-coloured star, It has a diameter of nine or 10 times that of our sun with a surface temperature of 5,000 degrees Celsius and cooler than our sun‘s 5,600 Celsius. To the upper right of Pollux we find Castor. 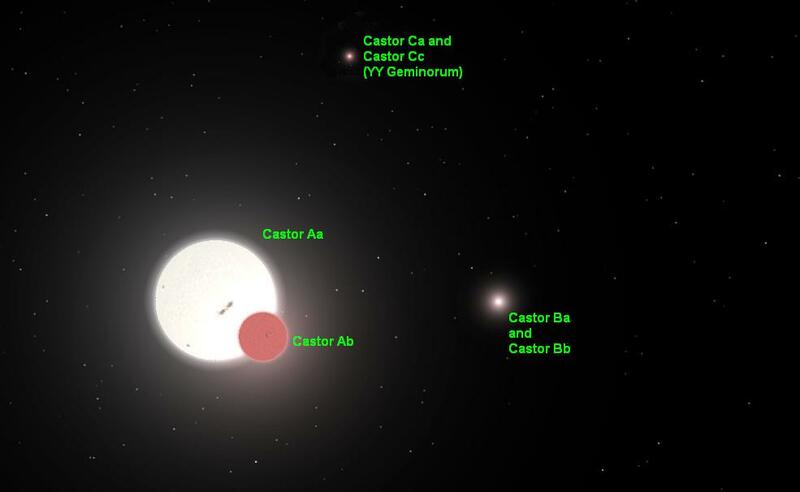 This white-coloured spectral class A1 star shines at magnitude 1.58 and is located 52 light years from us. With a surface temperate about twice that of Pollux, Castor is a collection ofthree pairsof stars in a very uniquedance. A telescope will show Castor’s close companion with both components. Castor A and B are themselves doubles and possess a mysterious third double companion. Although components A and B orbit each other in 445 years, component C orbits A and B every 14,000 years. One of the best examples of an open cluster is M35. Found near Castor’s foot, this group of 200 stars glows at magnitude 5.2 and is a fantastic object in binoculars. 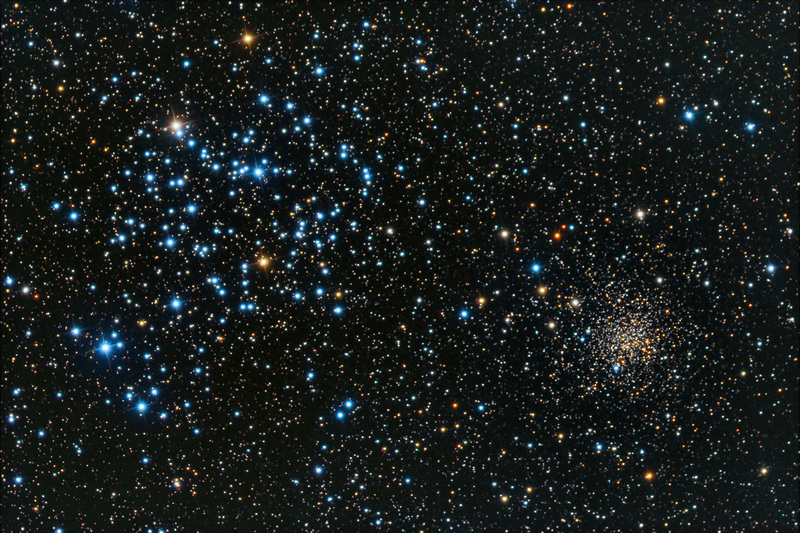 When viewed with a telescope, the tiny cluster NGC 2158 is now revealed.M35is located 2,800 light years away while smaller NGC 2158 is four times farther from us. The brilliant duo of planets Venus and Jupiter continues as Venus (brighter and left side of the two) keeps sinking to the south-eastern horizon on its way to rounding the sun in its orbit. Venus passes the planet Saturn on the morning of Feb. 18. Jupiter on the other hand is steadily climbing higher, rising just before 4 a.m. Feb. 1 and after 2 a.m. on Feb. 28. Mars is still visible low in the western sky after dark moving from Aries to Taurus and is much fainter than its summer time show. It passes one degree north of the planet Uranus on Feb. 13. Known as “The Backyard Astronomer,” Gary Boyle is an astronomy educator, guest speaker and monthly columnist for the Royal Astronomical Society of Canada. He has been interviewed on more than 50 Canadian radio stations and local Ottawa TV. In recognition of his public outreach in astronomy, the International Astronomical Union has honoured him with the naming of Asteroid (22406) Garyboyle. Follow him on Twitter: @astroeducator or visit his website at www.wondersofastronomy.com.